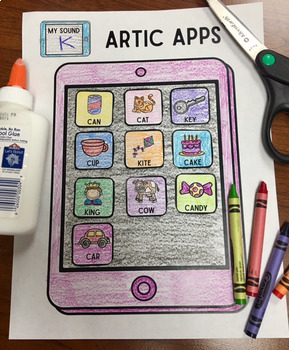 ✂️ Your students will love filling a tablet with artic apps while practicing articulation. This activity was designed to be a simple, no-prep activity to target articulation any time of the year It is a simple cut and paste craft! Perfect for k-5 (some younger students may need cutting assistance, depending on fine motor abilities). Print out a tablet page for every student in the group (page 5 of the download). 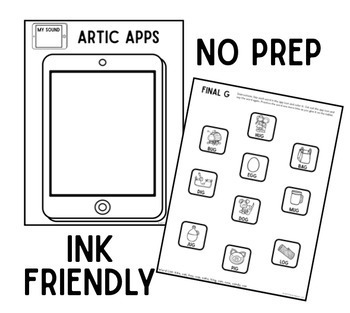 Print out the app icon pages with the target sounds needed for each student. I have the students color the tablet first so that they are ready to put the apps on (or you can have them color it in between turns to keep their hands busy). 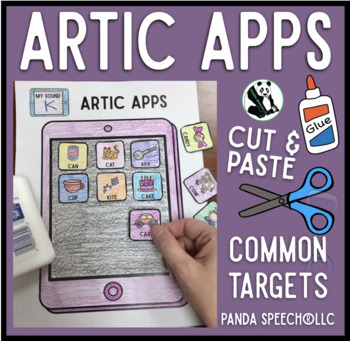 The student will color and practice each target word on the apps. The student will cut out the apps and practice the words again. 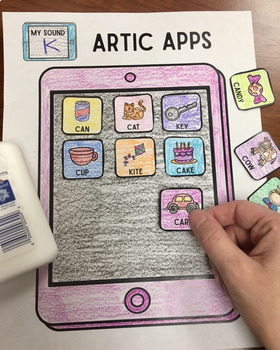 The student will glue each app on the tablet and practice the word one more time! Get over 100 trials easily!